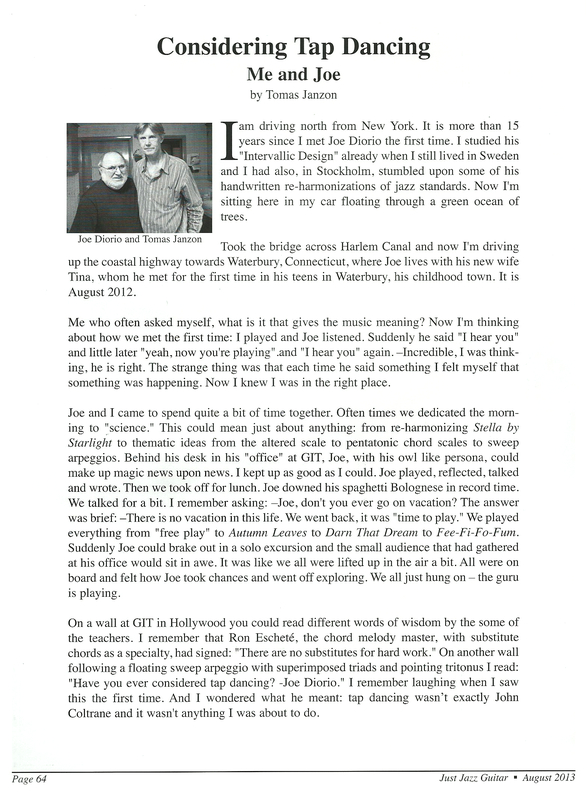 Recent article by Fradley Garner in Jersey Jazz magazine ! New release Experiences, (Changes Music CM 113) featuring: Art Hillery-piano & organ, Jeff Littleton-bass and Albert "Tootie" Heath-drums. “Humility is a good word for the right approach. My experiences in the jazz community have always shown me that this music is coming from a spiritual approach. That is how you connect, it goes through your heart." Jazz Inside New York magazine. With Janzon's velvet-like textures floating as if on water, the quartet's music moves with soul. 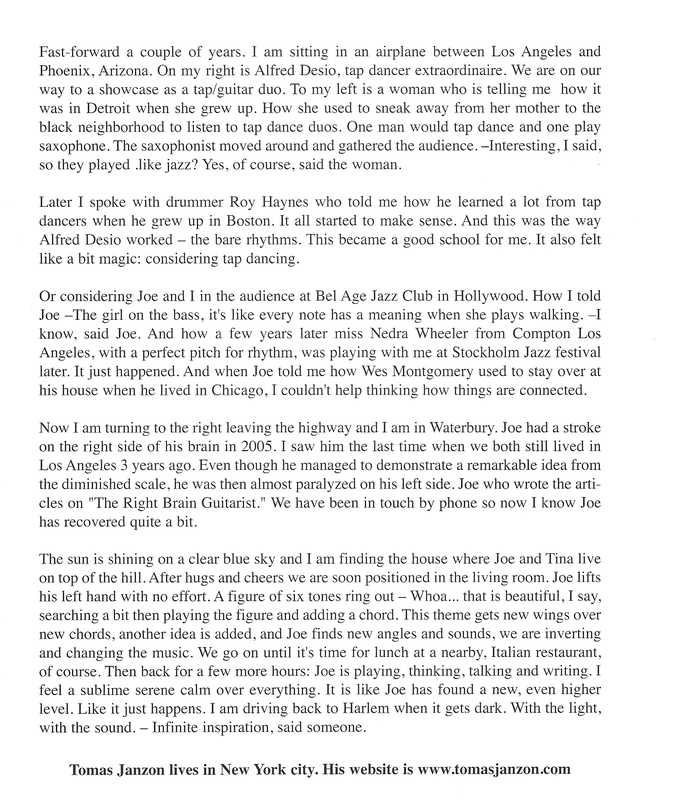 Dr. Dave Walker: Music Blog + Just Jazz Guitar. ... from the very first minute I knew that Experiences by guitarist Tomas Janzon was something special. This is one of those unique albums that will please ordinary music lovers as well as jazz guitar aficionados. Mr. Janzon’s style ranges from cool to passionate but always melodic and eminently listenable. The way in which he develops his pieces is the logical sound of a director and dramatist. ...Tomas brings light and air in the mainstream canon. His caution, his truly impressive and emotional charisma turns every piece into a feast. Guitar jazz has rarely been this beautiful. -Alexander Schmitz, Jazz Podium, Germany, Nov. 2010. 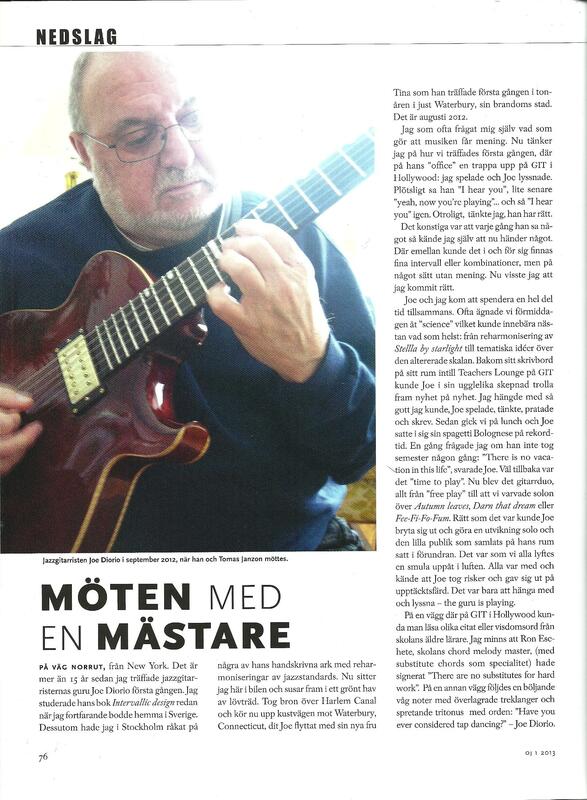 About Joe Diorio for Orkesterjournalen (in Swedish). Duo with Juini Booth . Tomas Janzon in Duo Format. that make this one of the best jazz guitar records from the past year. - John Heidt, Vintage Guitar. see April 2011 issue. many trio gigs at Victor Borge Hall, with the great Ben Dixon on drums. and two versions of a Swedish folksong.” With the guitarist are Art Hillery on B3 organ and piano, Jeff Littleton on bass, and the distinguished Albert “Tootie” Heath on drums. a 9:30–11:30 PM gig at Miles’ Café, 212 East 52nd St., Manhattan. Janzon’s warmly soul-tinged lines over Hillery’s staccato chords and Heath’s winking, on-and-off shuffle. Magnus Eriksson at LiRA (in Swedish): ..."ett mjukt anslag, en krispig ton och jag njuter av att dras in i hans melodiska flöde och läckra skalklättringar." Selections from EXPERIENCES can now be heard on your local jazz radio station. Interview with Jon Norton at WGLT, Illinois State University. CMJ Jazz Top 40 Chart: #36, #29, #14!!! Thank you. Jazz Week Top 50 Album Chart: #46, #44, #39, #34, #32, #19!!! Thank you. Roots Music Report Top 50 Jazz: #26, #16, #13, #8, #6!!! Thank you. 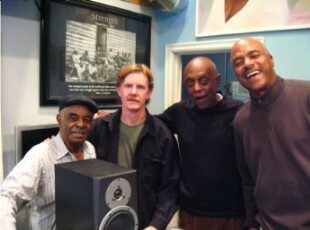 Jeff Littleton, Albert "Tootie" Heath, Tomas. Please go to Events page for more dates! With Tootie Heath and Jeff Littleton at jazz club Fasching, Stockholm. With Corcoran Holt and Rogerio Boccato at Bar Next Door, New York. Recent Concerts: see Events page. "Just the right progression of themes and tempos, just the right variety of long running times with short, just the right instrumentation for any given tune, hitting, as the CD title metaphorically suggests, all the points of the compass, all the coasts and all the landforms between. It’s a tour designed for listening and savoring." "...all are unified by a crispness and intimacy that highlights Janzon’s cool, subtle style." through his latest album of adventurous music." "A cooly imaginative kind of Sco-meets-Wes LA-based gutarist gets some sly, witty touches, steady soul-bop grooving originals..."
from coast to coast to coast." captivates everyone and won’t let go." "Guitarist Tomas Janzon brought his original spirit to LACMA with splendid results. In three powerful sets, he reflected blues-laden memories of Wes Montgomery and Django Reinhardt, as well as the fire and complexity found in the work of the Dave Brubeck Quartet. Fresh originals and standards such as “Moanin',” “All the Things You Are,” “Here's That Rainy Day,” and “Have You Met Miss Jones” were interpreted with authority. 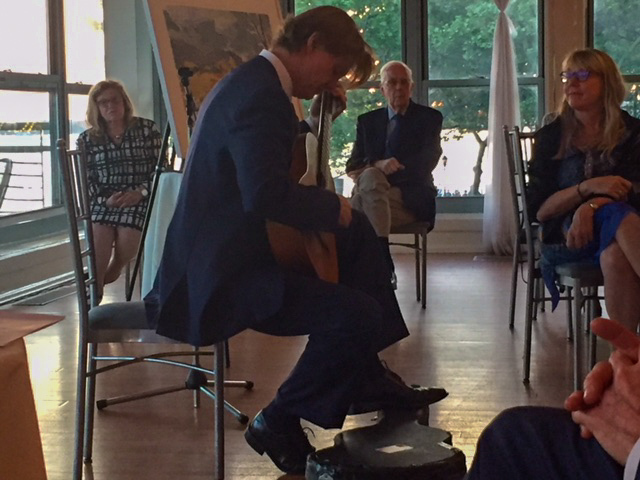 Janzon gave each selection a varied appearance, as his guitar wove intricate melodic patterns through the fabric of familiar song. His fluid lines produced thrilling results and meshed with his musical collaborators effectively."